Brick residents will pay more toward their municipal property taxes this year, though Mayor John Ducey said even with additional expenditures this year, his proposed 2018 budget keeps the township’s overall spending to just 2.5 percent through the length of his tenure in office. The township’s overall operating budget for 2018, as proposed, will be $100,978,885, an increase of $471,742 from 2017. The tax rate will increase by 1.9 cents per $100 of real estate valuation. For a resident with a home valued at $250,000, the township average, the municipal portion of their property tax bill will increase by $47. The municipal budget is separate from the Board of Education budget, which accounts for the bulk of residents’ property tax obligations; the board quietly introduced its own budget Tuesday night, the details of which can be viewed here. “Through conservative fiscal practices over the past four years, we have been able to control spending,” said Ducey, who has positioned himself as a fiscally conservative Democrat. Driving the budget increase this year was $1 million for employee health insurance, nearly $900,000 for police salary and wages and $477,000 in state-mandated increased pension contributions. The township recently added four officers to the police force and has hired a number of special officers to perform administrative tasks in recent years. Though salaries and wages have increased, the township has managed to cut the department’s overtime spending and saved additional money by tweaking the work schedule for officers. 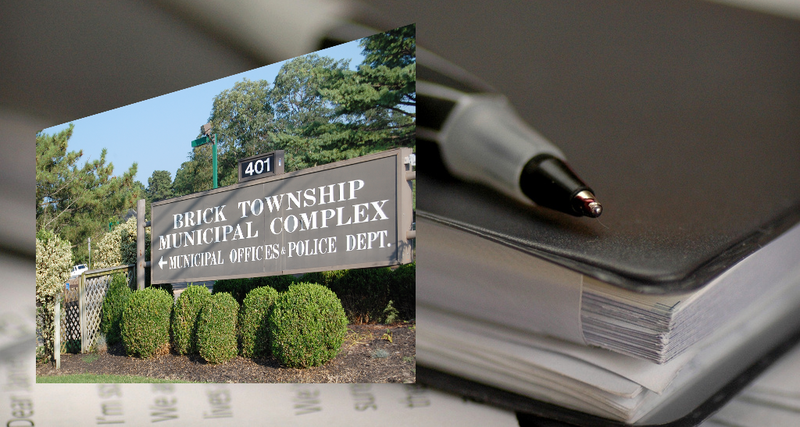 A major change to this year’s proposed budget was the lack of inclusion of a million-dollar “donation” from the Brick Township Municipal Utilities Authority. Under state law, an MUA can transfer funds back to the municipal government, a practice which Brick has employed since 2010. This is the first year the money will not be transferred. “There are no cuts in services, no cuts in programs and no cuts in protection,” Ducey assured residents at a meeting of the township council Tuesday night. In a prepared statement, Ducey touted his financial record as mayor. Annual spending has risen $2,524,345 since 2013, the final year before he took office, or about $500,000 per year. Between 2004 and 2013, the budget grew $41,371,989, an average of over $4.1 million per year. This year’s budget will also continue to attack a major goal of Ducey’s administration: reducing Brick’s debt and increasing its surplus account. The township’s debt on Jan. 1 of this year was $149,757,107, just over $18.5 million less than the debt when Ducey took office on January 1, 2014. The township expected to further reduce the debt by $2.5 million this year. The surplus fund will contain $11 million. In 2010, the surplus was reduced to just $48,724. “One of our priorities has been to strengthen the financial stability of our town through our surplus,” Ducey said. One resident at the meeting, Nan Coll, balked at the pension contribution increase, which was mandated by the state. “My Social Security has barely gone up at all, yet I have to pay for increases in the pensions of all the employees of Brick,” she said. Besides Coll’s objection, public comment on the budget was virtually non-existent. Under Brick’s form of government, the mayor presents a spending proposal to the council, which must review the document and vote to adopt it after a public hearing. The council can also make changes – either decreases or increases – or adopt it as proposed.